DaLaa is a strong and beautiful flower from Southern Thailand which can pop up and blossom everywhere around. We chose this name for our organisation being formed by a group of people who decided to unify their motivation and experiences. DaLaa International Volunteers For Social Development Association Thailand is a registered non-governmental organisation situated in Southern Thailand, Hat Yai/Songkhla. The organisation was founded in 2004. 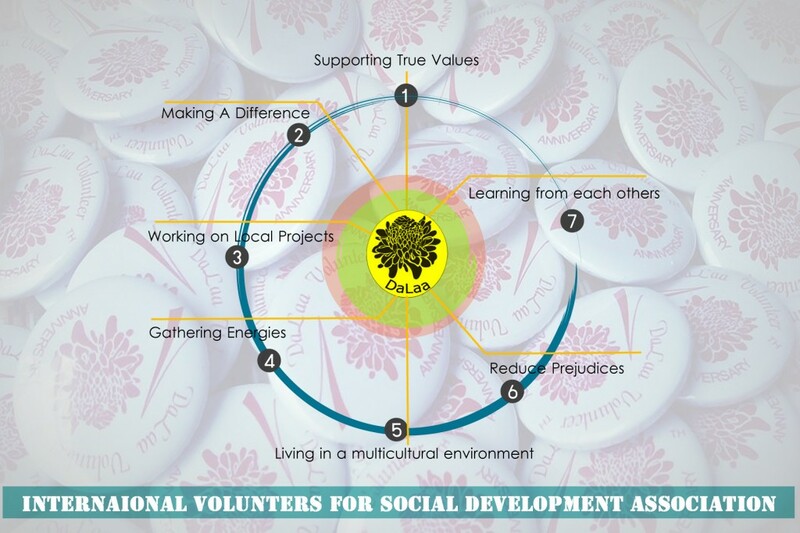 Nowadays DaLaa is a member of CCIVS (Co-ordinating Committee for International Voluntary Service) and NVDA (Network for Voluntary Development in Asia). The main aims are to support local communities and existing development projects, to create mutual understanding between both international and Thai volunteers and local people, and to preserve nature and culture as good as possible. DaLaa wants to bring people from all over the world together working, living and laughing together in order to make a tribute to a better world with more cultural understanding. DaLaa organises short term workcamps as well as maintaining long term volunteer projects in little villages in Southern Thailand. Furthermore the organisation tries to support Thai members to join projects both within DaLaa and abroad.